-Specialized health care facility located in Bossier City, Louisiana. Their services include surgery, dietary, radiology diagnostics, and pharmacy. Bossier City Hospital has 12 beds. 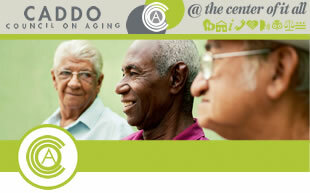 -Assisted living Facility with 62 beds. -Long term acute care specialty hospital treats medically complex patients. -Provides post-acute services including transitional care, inpatient and outpatient behavioral health treatment, and home-based care. -Provides services to patients with medically complex diagnoses. -Provides a variety of health care services including an acute care hospital. Acute care hospital providing a variety of health care services. -Long term acute care with 146-beds and psychiatric hospital. -Long term acute acute with 50 beds. -Outpatient surgeries scheduled by a physician doing the surgery. -Provides veterans help with aid and attendance (if eligible for monies to get into Assisted Living Homes). Call 1-800-827-1000 prompt 1 if touch tone then 1, then 0. -General acute care facility, emergency, ICU/CCU, labor & delivery, general surgery, etc. -General acute care Facility, Emergency, ICU/CCU, Labor A& Delivery, General Surgery, Etc.